Preventive Dental Care keeps your smile healthier, longer. You already know to brush and floss your teeth regularly, but are you doing it properly? Maybe you have bridges or fixed crowns that prevent you to reach those hard areas. Dental cleaning and preventive care, so much confusion here! 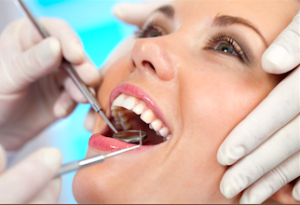 Dental Cleaning is a maintenance procedure in a healthy mouth. When was the last time you had your teeth cleaned? Every mouth is different. A truly healthy mouth is very hard to have, considering all the nocks and crannies that are ever present bacteria can get in. A person’s overall health status, age, oral hygiene habits are only a few factors that affect what dental maintenance is necessary to keep that mouth healthy-However keeping oral health optimal is one of the most important things a person can to have good health at all. At Healthy Body Dental, we know that preventive dental care is the key to enjoying your natural teeth for an entire lifetime. Routine care help keeps your smile free of gum disease, and allows problems like cavities to be identified when they are smaller and more affordable to treat. Our team will equip you with the tools and tricks you need to keep your mouth disease-free for years to come. We know what works, so you don’t have to guess! Dental cleanings DO NOT HAVE TO HURT! And should not. Dental cleanings rarely can be done in less than 1 hour appointments. There is as much difference between hygienists as there are different techniques. Dental Cleaning and preventive care with most hygienists are as important as having a treatment done to a tooth. The hygienist is such an important factor when having your teeth cleaned. Good routine dental cleaning, knowledgable hygienist, and good healthy care products can help keep your smile for a lifetime. We are blessed with having Lisa in our office and we are told daily by our clients she is one of the best hygienists around. Recently we have been able to add Michelle to help with our new client overflow and those patients have voiced how caring and comfortable Michelle has made them feel. So not all hygienists are the same. We have a couple of the best here at our office. I would like to take this time to thank Dr. Anthony Adams and his staff for the kindness and support they have given me. I have had numerous dental work completed in the past 3-4 years and all of it performed by Dr. Adams. Recently I went in for my routine six-month exam and cleaning. Prior to this exam I had noticed that my lower gums were quite red and swelling, which was to the best of my knowledge an infection. The dental technician looked at my gums and confirmed that I really did have an infection and that my routine cleaning could not be performed that day due to this. I was scheduled to come in a couple of days later and at that time a deep cleaning was preformed, and also the “pockets” in my gums (this is where the infection was coming from) were to be measured for their depth. I was also to be given antibiotics in each of the “pockets: in order to clear the infection, as well as special toothpaste and a prescription that I had to take twice a day. My routine exam, which my dental coverage would have paid 100% for, was costing me a great deal more than I had expected. I was scheduled for a three month follow up to see what progress was being made by the treatment that was given to me, and much to my surprise to all of us, my infection was significantly reduced, the “pockets” had gained back some of the depth that is necessary for healthy gums and the cleaning of my teeth was not as painful as it had been previously. I realize that a lot of patients are doubtful when their dentist informs them that special work must be performed for them to maintain healthy teeth and gums. In our society today we are constantly hearing about people being taken advantage of by health care professionals but I can honestly say that Dr. Adams and his caring staff are NOT in this category. I have recommend Dr., Adams to many of my friends and they have thanked me over and over again. If the eyes are the doors of the world, then Dr. Adams and his staff have given me the smile to walk through it. God Bless You All – Paulette – . If the eyes are the doors of the world, then Dr. Adams and his staff have given me the smile to walk through it. Thank you for cleaning my mom’s teeth. It was a pleasure meeting you and again thank you for everything. Have a safe New Year with the person who you live with. I hope when I grow up this place is still here because I will do the same thing with my child. If you have children wish them good luck if they will be working here just like you .